Helpful reception staff, good night's sleep. But breakfast was bread, bread and more bread (with two different types of pre-packeted cheese) - in my opinion a complete rip off. The hotel was very convenient for our trip. The room was clean and the bed nice and firm. The breakfast was good value. The check in and out was very easy. There was a good selection of restaurants within walking distance. 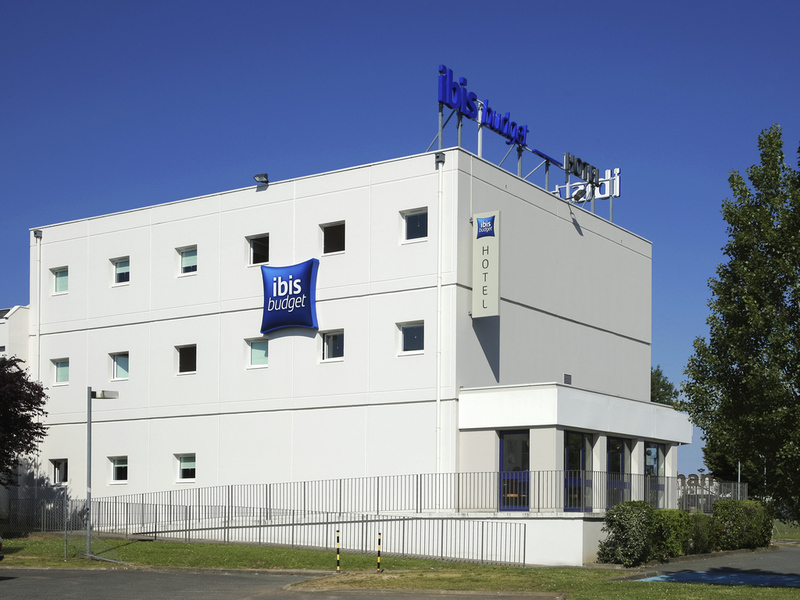 On our way home from Spain we stayed overnight at Poitiers Ibis. We got exactly what we thought it would be. Cheap clean and convenient. No frills. Perfect for one stop. We also had our dog with us and she was welcomed too. The hotel is dated and tired looking. It is in need of renovation. Staff were friendly and helpful however, due to condition of the premises in general I will not stay there again. Easy to locate close to the motorway system. Hotel is clean and the rooms are relatively spacious . Staff are pleasant . Breakfast is adequate with a decent choice of food and hot and cold drinks. Not impressed with the adjoining restaurant. Expensive. Called on way from UK to Spain. Hotel is conveniently positioned and provides good accommodation which is clean . Breakfast is worth having with a reasonable choice of food and beverages. Overall very good value for money. Clean accommodation at a reasonable price. Easy check in, very clean room, good position to get back on our journey. The only gripe if I can call it that is a noise which sounded like it was coming from the next room, a compressed air sound switching a valve on and off all night. Apart from that had a good stay and a nice continental breakfast. Dear M C, thank you for your nice comment. I will not fail to share it with the entire team. I am delighted to know that you had a good stay and that you appreciated the cleanliness of the rooms and also the breakfast. Your satisfaction is the greatest reward for the staff who work day after day to offer you an irreproachable service. I am also sorry for the inconvenience caused by the noise. Looking forward to welcoming you again, I beg you to believe, Sir, in expressing my best feelings. Sincerely Lucie D Receptionist. Visited on route from Spain to England, Hotel is well situated and was clean with staff very pleasant and helpful. Decent value for money. Dear B, I'll get you back for your nice comment. I am delighted to know that your stay went well and that you enjoyed the service and cleanliness of the rooms. I will not fail to share it with the entire team. It's a pleasure to see you again. Cordially. Lucie D Receptionist. I was heading to Spain from UK and this was an ideal stopping off location. Easy access for the motorway, good food right next door. Clean bedroom, friendly receptionist. Breakfast needs to improve. There was no parking space. The building itself is old. The room was dirty and yellow from the smoking. The scent was horrible. We didn't realise it was a smoking room, would not have taken it if we would have known. But even for a room where smoking is allowed, it was simply horrible. OK for a one night stay when travelling. The staff were very pleasant, the breakfast good value, the Hotel was reasonably clean and comfortable.